Obviously, tour guiding is not about the gadgets you have. It is about introducing visitors to a particular place. Gadgets and technology help tour guides to execute the job and they make travel more comfortable. They will make you a lot more efficient at your job and can even prevent losing your voice. So, why should a tour guide use travel gadgets? Many people believe that technology is replacing the need for tour guides. But that couldn’t be further from the truth. For instance, the 21st-century tour guide travels with a mobile device such as a phone or a tablet. It allows him or her to make calls, send and receive email and documents, access online data, check the weather, check online bookings, and much more – all while on the road. Today, tour guides and tour leaders don’t have to be walking encyclopedias. They have easy access to information which allows them to remind themselves about historical facts and provide even more information to the tourists. Whether you’re taking a multi-day tour or just a quick city tour, it might be a good idea to have some of these lifesavers in your backpack. 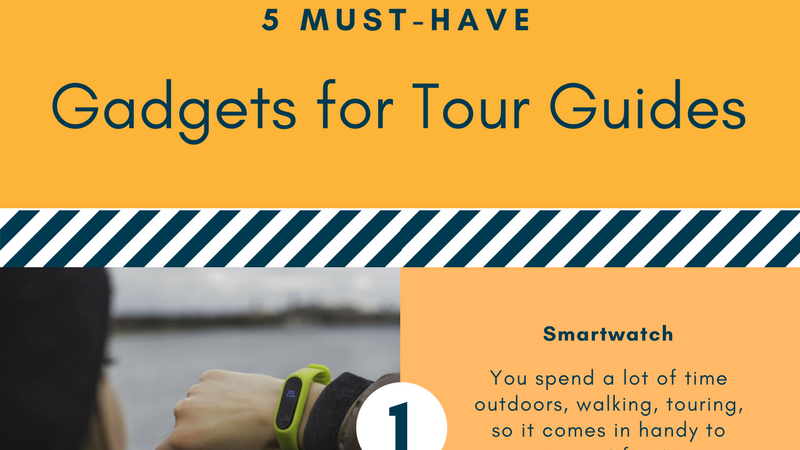 Without further ado, here are the five essential gadgets every tour guide should have.